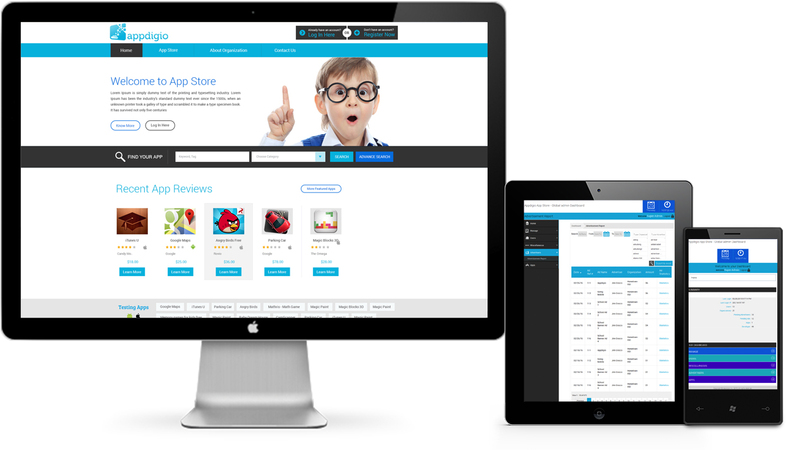 Appdigio is both an application and a framework built to help educators, administrators, and IT departments minimize the challenge of delivering technology and accountability to the classroom. Appdigio is the only available platform that easily and efficiently manages the entire complex of school applications and device inventory. AppdigioÃ­s platform eliminates the multitude of applications and one-offs that schools have been forced to use in confronting the convergence of thousands of new educational applications, devices and incompatible operating systems.